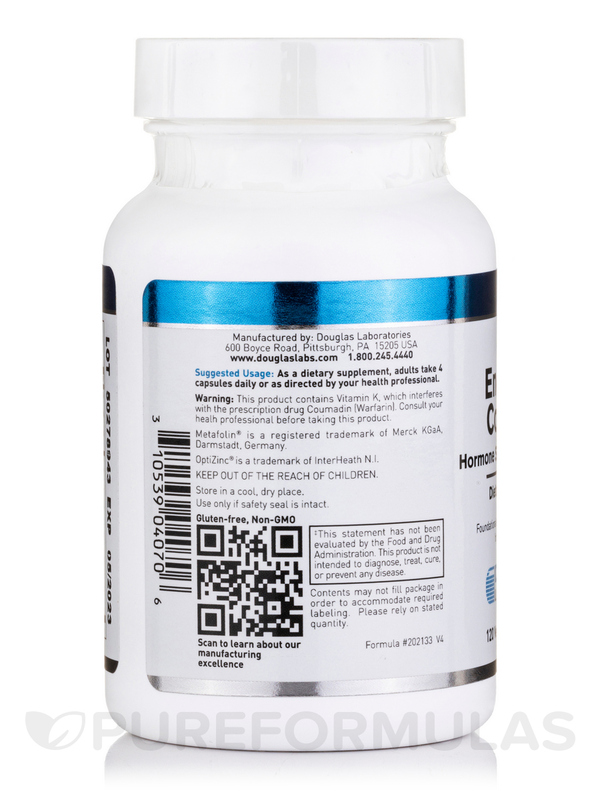 Endocrine Complete™ is a comprehensive combination of vitamins‚ minerals‚ nutrients and hytotherapeutic compounds specifically formulated to provide complete support of endogenous hormone production by the endocrine system. 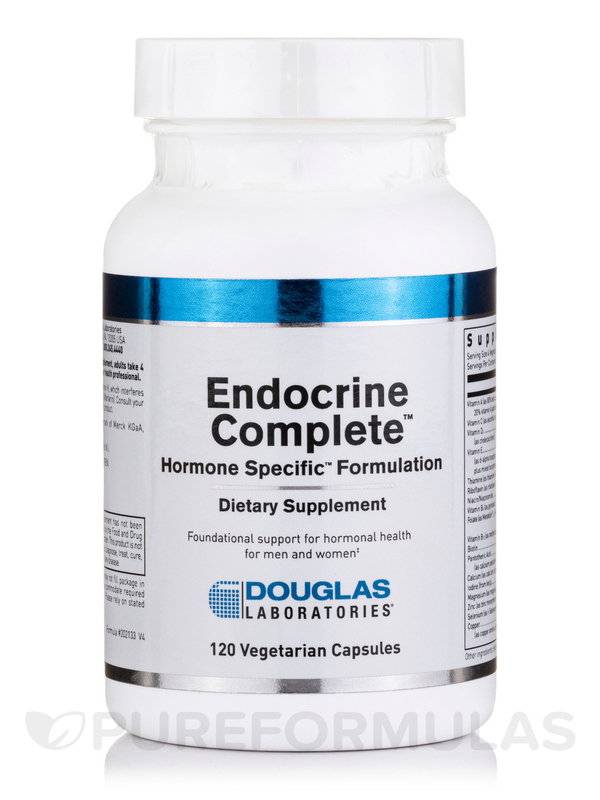 Endocrine Complete™ includes a wide variety of herbs that act as hormonogenic agents‚ a subclass of phytocrine™ activities that maintain endocrine gland health. 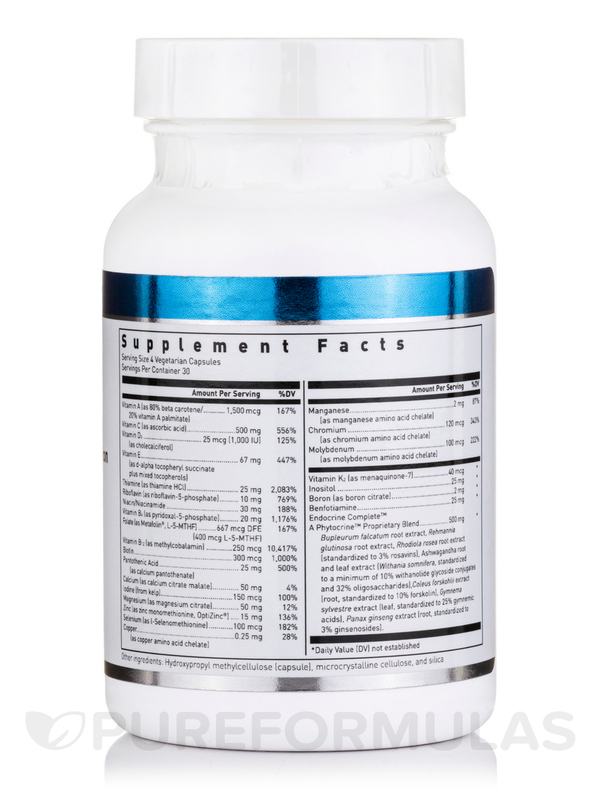 Buplerum falcatum root extract‚ rehmannia glutinsosa root extract‚ rhodiola rosea root extract (standardized to 3% rosavins)‚ ashwagandha root and leaf extract (withania somnifera‚ standardized to a minimum of 10% withanolide glycoside conjugates and 32% oligosaccharides)‚ coleus forskohlii extract (root‚ standardized to 10% forskolin)‚ gymnema sylvestre extract (leaf‚ standardized to 25% gymnemic acids)‚ panax ginseng extract (root‚ standardized to 3% ginsenosides). 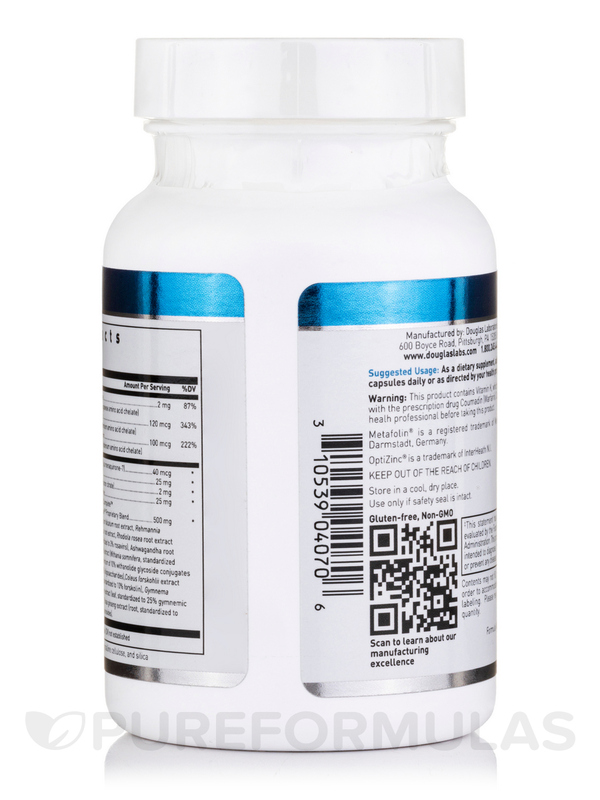 Other Ingredients: Hydroxypropyl Methylcellulose (capsule)‚ cellulose and silica. 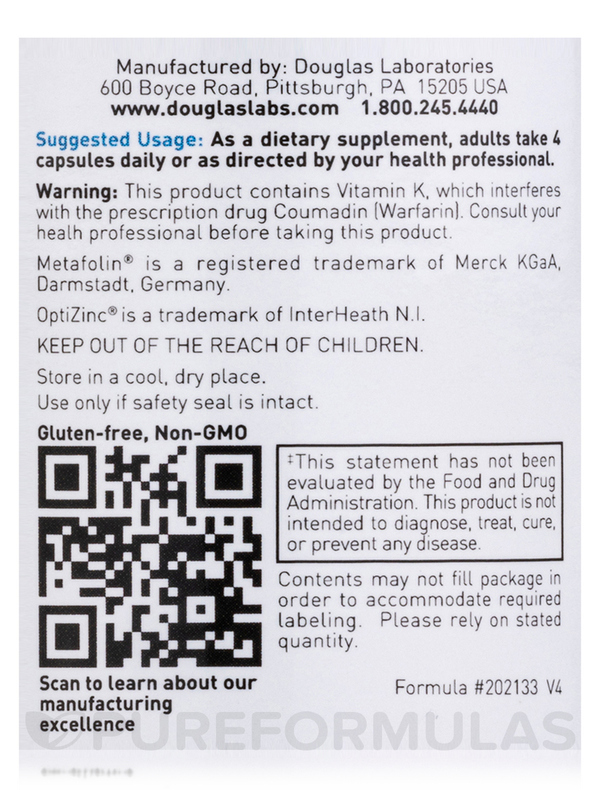 Adults take 4 capsules daily with food‚ or as directed by a healthcare professional. 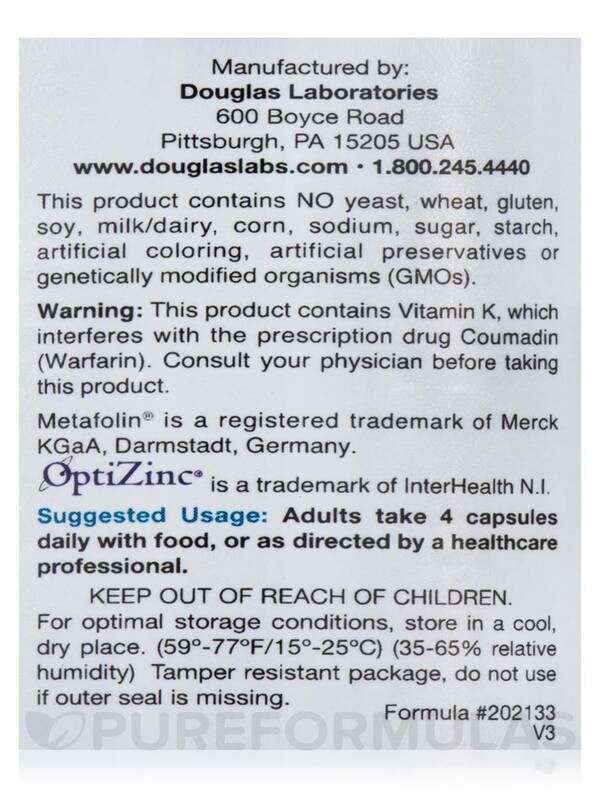 This product contains Vitamin K‚ which interferes with the prescription drug Coumadin (Warfarin). 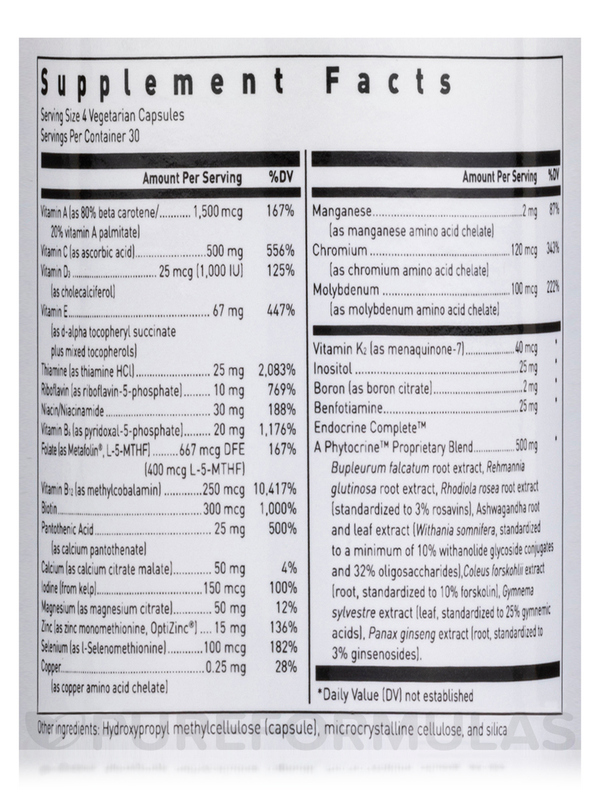 Consult your physician before taking this product.